Parent Orientation is the last Thursday in August at 9:30am. The first day of school is the first Tuesday after Labor Day, September 3rd. We are now accepting applications for new students for the 2018-2020 school year. If you would like to come visit our facility and meet our teachers, please contact us by phone or email.If you would like to come visit our facility and meet our teachers, please contact us by phone or email. Caterpillar Ages 2 1/2 - 3 years 2 days per week - $190 per month Tuesdays and Thursdays. 3 days per week - $240 per month Tuesdays, Wednesdays and Thursdays. 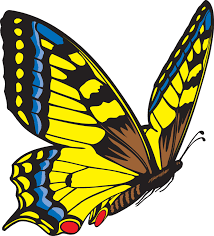 Butterfly/PreK Ages 3 1/2 - 4 years 3 days per week - $240 per month Tuesdays, Wednesdays and Thursdays. 4 days per week - $295 per month Tuesdays, Wednesdays,Thursdays and Fridays. An $90 registration fee is due at the time of registration. This fee is nonrefundable and guarantees your child a place in the preschool. All students must complete an admission registration form every year in attendance. All NEW STUDENTS must present either a birth certificate or passport at the time of registration. All students must have had a physical examination and be fully up to date on their immunizations with their physical form on file at the school prior to the beginning of the school year or they will not be able to attend. If you are unable to download the file, click HERE_. After the new window opens, click on the Registration Form, then right click on the image that pops up and select Save Image As... Locate the file on your computer to print.